In this post you’ll learn how to setup LAMP Stack on Ubuntu and/or Debian in just 3 easy to follow steps. I’m not making the post fatter, thinner and filled with a lot of theory. I’ll just go straight forward towards the installation process. But if you want to learn a little bit of theory behind the seen then you must read my blog Understanding Root Directory, Testing PHP Engine and Installing PHP Extensions on Ubuntu after this post. For now, let’s get started! First of all let’s define LAMP Stack for those of you who don’t know about it. LAMP Stacks means: “Storing/retrieving data in/from MySQL DBMS, on Linux Operating System, using PHP Server Side Scripting Language running on Apache Server”. Please Note: some may say ‘P’ in LAMP is for Python and it might be, but we’ll focus on PHP. Well you’ve already completed the ‘L’ part of the LAMP as you are running Linux Kernel on your Ubuntu or Debian dsitro. Update the list of available Packages and their versions from the repository (Please do note: It just updates not downloads and installs new packages). Upgrade the the packages on the bases of the list updated by update command (It actually installs new versions of packages). Installs PHP5 Engine on your machine. 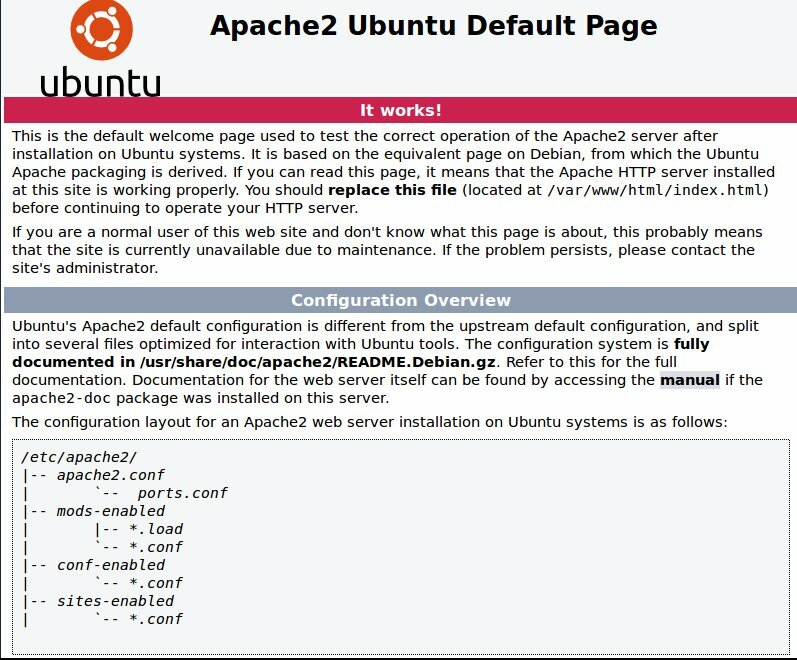 The above given commands will download Apache2 from the Ubuntu Application Repository or Debian Application Repository and will install it on your Ubuntu or Debian dsitro. After installing Apache let’s check it. Type localhost in your browser and hit enter, you should see the following page if every thing is going right! MySQL Module Extension for PHP5 Engine. PHP5 Engine from the repository. PHP5 Module for Apache Server. You’ve successfully installed PHP5, to check whether the installed PHP5 Engine is working properly, see Testing PHP Engine and if you want to make some configuration settings read Configuring php.ini. To know about and install PHP extension modules read my blog Learning about and Installing PHP Extensions on Ubuntu. That’s all! you’ve completed the installation of LAMP Stack on your Ubuntu and/or Debian Machine. Quite easy? I hope your answer is Yes! Pingback: Installing WordPress on Ubuntu 15.04- MKJ Blogs! Dear I installed phpStorm 9 on my Ubuntu 14.04 LTS, and successfully installed Lamp stack (Apache2, Mysql and Php engine) and it’s working fine, my problem is when I locate the php interpreter path in phpStorm setting, no php interpreter installed error popping up..and setting of phpstorm requires php executable..can u help plz. Thanks for the comments. I think you haven’t set your configuration properly for PHP. Look a this link https://www.jetbrains.com/phpstorm/help/configuring-local-php-interpreters.html, probably it would be helpful for you.